When it comes to blind repair, DON'T settle for shoddy workmanship! Let Rod make YOUR home or RV beautiful again! Premier blind repairs, for quality that's easy to see! 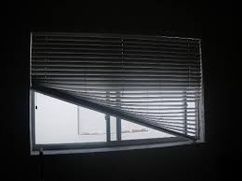 When I was visiting Victoria from overseas in May I was impressed enough by your web site testimonials to give you a call and arrange to drop off a faulty blind. Of course you repaired it quickly and well as expected. 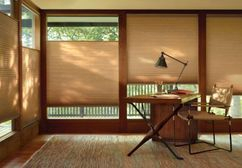 But your very kind gesture when you delivered and installed the blind in my mother's home is worthy of mention and praise (and a place among your many positive published testimonials should you see fit). As you were leaving you noticed a framed picture of my late father sitting on the floor waiting for the right person and tools to be hung. Without hesitation you read the situation and took two minutes out of your day to hang it. 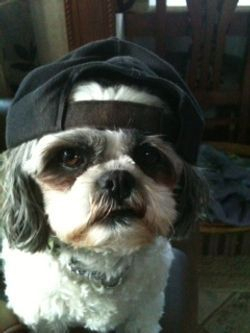 Two minutes that speak volumes about your style, class, and kind heartedness. Thank you so much too for your thoughtfulness Rod. 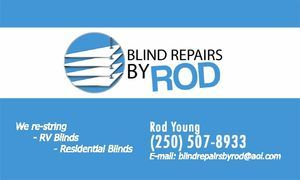 Hi Rod, I want to express our thanks for a super job on our blinds. The service you provided was way more than what we expected... you really went above and beyond! I have been telling everyone about your service. People should know that you are definitely the "Go To Guy" for blind repairs. Vicki M.
to have that blind working again. as this was our bedroom blind. We'll be back and sure to tell our friends and neighbors. 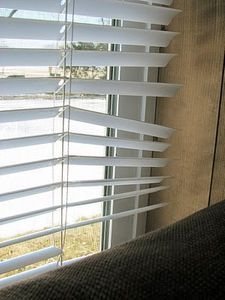 BROKEN LIFT CORDS are the number one reason for blind malfunction, however blinds are made up from many parts and those can also become worn out over time. 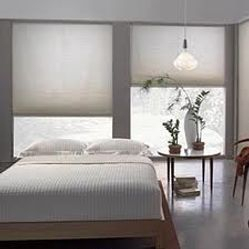 We are able to replace your broken blind cords and other parts at a fraction of the cost of replacing your blinds, and they will still match the others! For Your convenience, we suggest you call ahead and book your repair for 1-2 day turn around. If you prefer you can just drop off at your convenience 7 days a week, 8am to 6pm. (The above directions are for the most common type, others are screwed directly into the walls or ceilings on RV's). 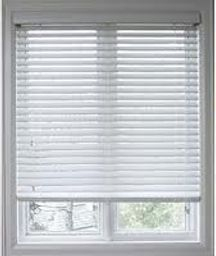 In some cases, valances will have to be removed in order to remove the blind(s). For a modest site charge, we are happy to help with this if required. This is a common problem caused by broken or worn lift cords. We re-string the following brands to mention a few! 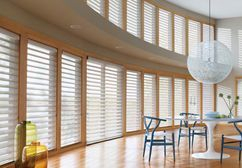 We also have the ability to make bent and dented aluminum blinds look much better. We can get a blind that is doing this, to operate like new again. 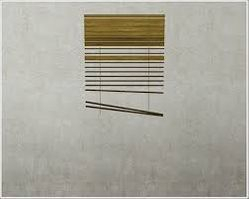 No need to change all the blinds. 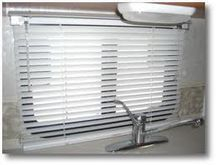 RV Blinds are notorious for lift cords breaking due to the extreme tension required to keep them up and in place.